Design: The navel orange pattern design is perfect for those who want to add a little quirk to their phones. Its vibrant print and colors are reminiscent of summer, giving off a refreshing and relaxed vibe. The case stands out from the rest but makes sure that it matches any ensemble you wear. Protective Features: Made with clumsy users in mind, the case's anti-slip feature allows users a better grip on their phone so they won't drop their device. The case's anti-scratch feature protects your device from scratches made from dust, dirt, and other debris. 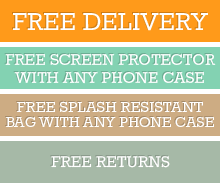 With its shock absorbent feature, your device is protected from damages caused by drops or falls. Material: Made from high-quality TPU material, the phone case is made to withstand the fatigue of everyday use. Because of the material's flexibility and sturdiness, the case can maintain its shape even after long periods of usage. Click the button below to add the iPhone XS Max Navel Orange Pattern Highly Transparent Soft TPU Protective Cover to your wish list.